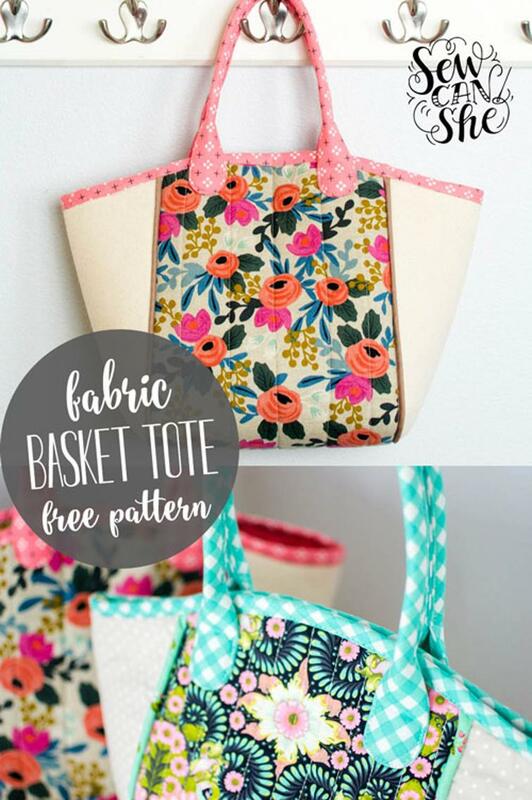 Here's a cool Fabric Basket Tote FREE Sewing Pattern. There are two interior pockets. The handles aren't super long like shoulder straps. The bag has a bound top edge that matches the handles and it is a nice roomy size. The center panel is quilted and there is piping that separates the middle from the sides. Check out this Swoon Ethel Tote Bag, too! My friend sent me this and I love it. Do you have patterns you send out too. This tote looks beautiful! I cannot wait to make it. Thank you for giving this pattern, and tutorial, to us for no charge!